I will be honest and say that the first thing that springs to mind when you say toothpaste flavour to me is mint….not salt. 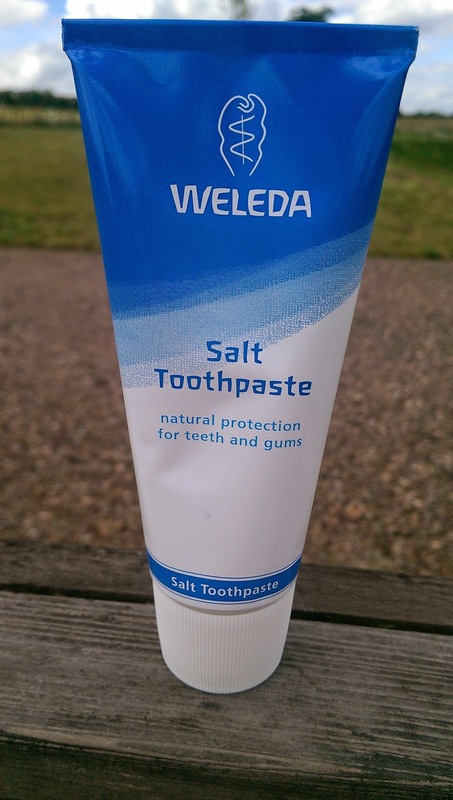 That said I decided to give salt toothpaste a go and I bought two brands, primarily as I could not decide…shocker! I had visions of the salt acting like an abrasive of tartar, whilst producing more saliva and generally leaving me…. beautifully salty fresh. 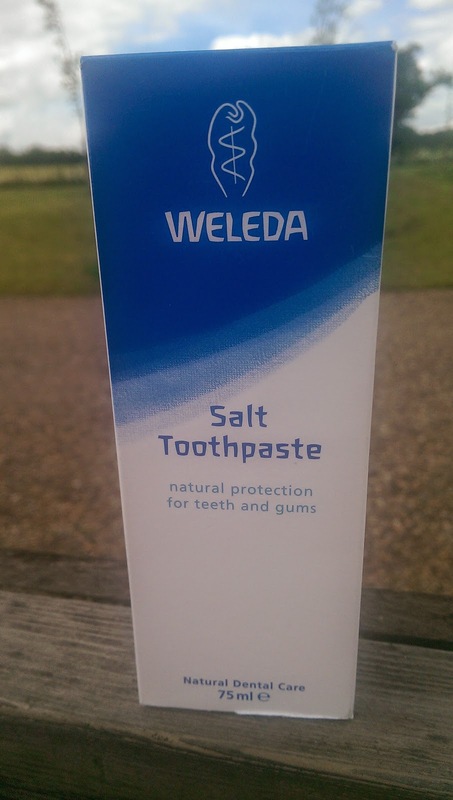 First up was Salt Toothpaste by Weleda (www.weleda.com). The brand themselves have been around for a while but I have never tried any of their toothpastes. 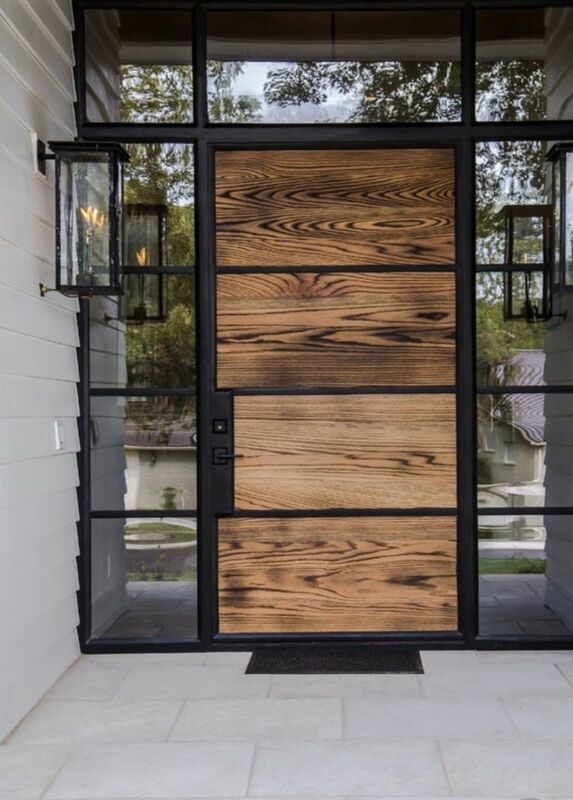 They pride themselves on using pure plant extracts, pure mineral substances and natural essential oils. The toothpaste was described as unique on the packet. Yes I found it unique as a toothpaste, but that is where the uniqueness ended as I was sure I had experienced something similar before. While on holiday in Malta with a good friend (she loves it when I elude to her in these blogs…. not), we decided to go on a banana boat ride. Oh what fun as we rode along across the sea before falling off at high speed, bashing into each others heads and managing to gulp far too big a mouthful of sea water then you would ever want. Yep that sums up the sensation of this toothpaste. It started off ok for the first few seconds and in my head I thought this will be fine, then the smooth texture turned into something akin to having a mouth of course sea salt. I tired not to wince…failed. Tried to last as long as I could by thinking this will be great for my teeth as it will neutralise acid…failed… I had to get rid of it. Vile! My mouth was not happy, I was not happy, but I decided to try it again the next morning. Just as vile. Yes I am sure this while be a delight for some people and they may be able to pick up on the peppermint oil etc. I did not! 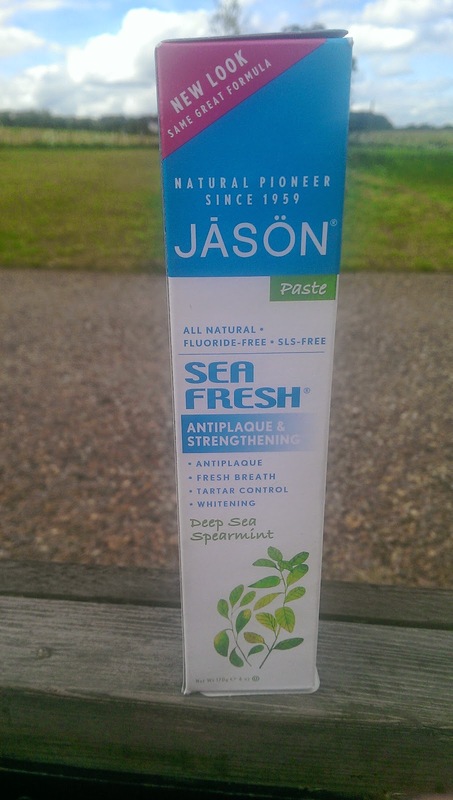 Being undeterred I decided to try my next toothpaste, enter Jason SeaFresh Deepsea Spearmint Toothpaste (www.jason-natural.com). Surely this one cold not be the same. This product features blue green algae, spearmint and parsley, all of which together should provide fresh breath, tartar control, whitening and antiplaque. It looked normal and tasted minty, no mouthful of salt and my mouth felt normal afterwards…….woo hoo. I liked it. I liked it enough to happily try it again and continue to use. The Jason Seafresh Toothpaste is definitely worth a try. The Weleda….. maybe only leave out by the sink if you are trying to play a prank on someone… that gives me an idea, who is coming to stay with us next. 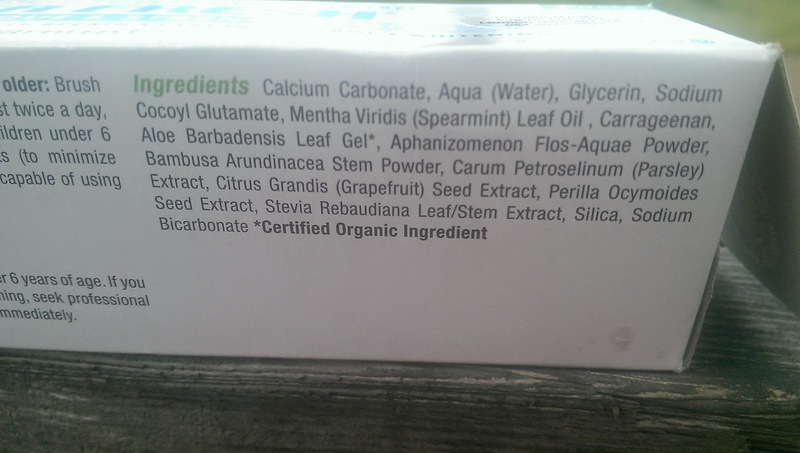 Weleda Salt Toothpaste :- Sodium Bicarbonate, Water (Aqua), Glycerin, Silica, Mentha Piperita (Peppermint) Oil, Prunus Spinosa Fruit Juice, Commiphora Myrrha Resin Extract, Krameria Triandra (Ratanhia) Root Extract, Aesculus Hippocastanum (Horse Chestnut) Bark Extract, Arum Maculatum Root Extract (in highly diluted form), Sodium Chloride, Cyamopsis Tetragonoloba (Guar) Gum, Simmondsia Chinensis (Jojoba) Seed Oil, Alcohol, Esculin, Lactose, Flavour (Aroma), Limonene*, Linalool*. *from natural essential oils. *.